by richardelliott	Posted in	Face, Skin	on 07/02/2019 . When it comes to ‘at home’ peels, there is nothing better than using Dr Dennis Gross products. With over 25 years of experience in the dermatology industry, Dr Dennis Gross is an expert and a pioneer of new ways to combat the signs of ageing. Now, you can benefit from his highly acclaimed products without leaving the comfort of your home. Recommended and endorsed by celebrities such as Zoë Kravitz, Rosie Huntington-Whiteley, and Selena Gomez, as well as being featured in many high-profile beauty publications, the peels are the perfect way to accelerate skin renewal and slow down ageing skin. Dr Dennis Gross has always encouraged women to use a peel on their skin on a daily basis. 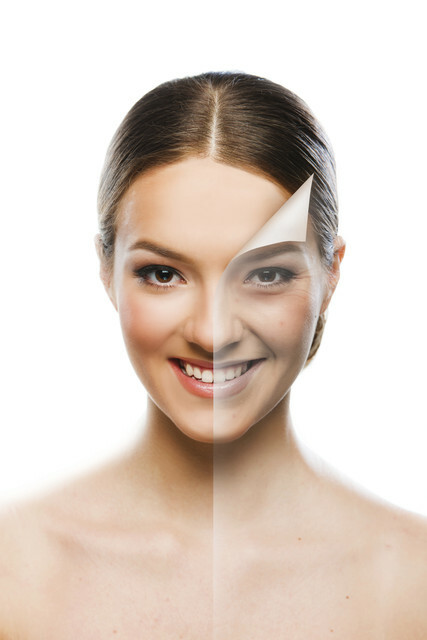 The Alpha Beta Daily Face Peel is Dr Dennis Gross’ signature peel – and the most popular of the line. Within just a few days of using it, you’ll see an improvement in the appearance of fine lines and wrinkles; any enlarged pored, hyperpigmentation, blemishes and scarring will also be minimised, along with an enhancement of the overall radiance of your complexion. This extra-strength version of the peel contains seven different acids for accelerated results and is a patented two-step formula that doesn’t require recovery time. Safe and easy to use at home, the daily peel will exfoliate, hydrate, nourish, rejuvenate and balance your skin. When it comes to a ‘multi-tasking’ peel, the Dr Dennis Gross Ferulic + Retinol Wrinkle Recovery Peel is a great choice. This high-performance dose of retinol acts in two ways: as a peel to smooth the appearance of lines and wrinkles, and as an anti-ageing vitamin that will make your skin look firmer. The peel is designed to create a firmer, smoother and more radiant complexion and will exfoliate dead cells while deeply hydrating the skin and evening out your skin tone. If you’re looking for a powerful mask that delivers intense hydration, the Dr Dennis Gross Hyaluronic Marine Hydrating Modeling Mask is just the right thing for you. This gel + power transformative mask is cooling and deeply hydrating, giving you immediate radiance after just one application. The mask is both a gel and a powder; when combined, they transform your skin from dull and dehydrated to radiant and dewy. With this mask, you get skin-plumping results, as well as a reduction in dry surface lines and pores. Youth-boosting, these peels and masks use the latest scientific research as well as natural ingredients to create and maintain radiant skin. The same is true of the other products in the Dr Dennis Gross collection. Launched in 2000, the Dr Dennis Gross Skincare line combines a blend of the best natural antioxidants, vitamins and botanicals with the most scientifically advanced delivery systems. The line is designed to provide immediate and long-term results for all skin types, for both men and women. Dr Dennis Gross products are also varied, ranging from moisturisers and serums to eye creams, sunscreen and acne treatments. Additionally, we also stock the Dr Dennis Gross Spectralite Eyecare Pro, which features professional light therapy for the reduction of fine lines and wrinkles. With 72 LEDs of therapeutic light, this eye mask has been proven to stimulate the natural production of collagen and improve firmness and elasticity. By using the products in this skincare line, you will find that your skin will look healthier, younger and more radiant – sometimes after just the first use. Why are Dr Dennis Gross Products so Sought-After? What makes Dr Dennis Gross products so unique and beloved by so many? A big part of the appeal of these skincare products is the fact that they’re cruelty-free. As a member of PETA’s Caring Consumer Project and an animal-loving company, Dr Dennis Gross SkincareTM is committed to remaining cruelty-free and assures customers that no animal testing is conducted or commissioned for the products, formulas or ingredients. Most products are also vegan. In addition, dermatologist Dr Dennis Gross ensures that all products are formulated based on his patients’ skincare needs. This means that the formulas are designed to meet your skin’s unique requirements, ensuring the best results. Dr Dennis Gross products are also gender neutral and multi-functional; most formulas offer more than just one action, like the All-in-One Cleanser with Toner which can also be used as a makeup remover. Another benefit of using Dr Dennis Gross SkincareTM is that, while the products work best together as a system (since they were designed to function together), they’re not dependent on each other and can be used separately. This means you can fit them into your usual skincare rituals, without having to change your entire routine. The Dr Dennis Gross peels are popular around the world for the fantastic results they offer, transforming a dull complexion into a glowing, more youthful one. Ask us about our Dr Dennis Gross products – our friendly and professional staff will be more than happy to help you find the best skincare products for your needs.